The next evolution of the Pro 22 cymbal bag. 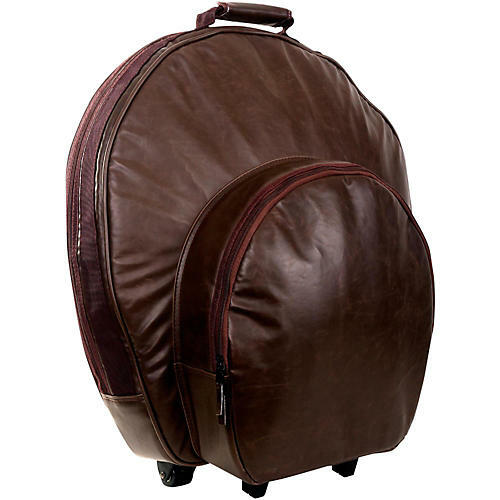 This evolution of the Pro Cymbal Bag fits cymbals up to 24" with a vintage brown faux leather look. The Pro 24 delivers speed and convenience thanks to its wheels and Fast Hat Pocket. It also provides a special level of protection to your cymbals with Sabian's Edge Protect construction. You and your cymbals deserve this. Fits up to 24 cymbals.